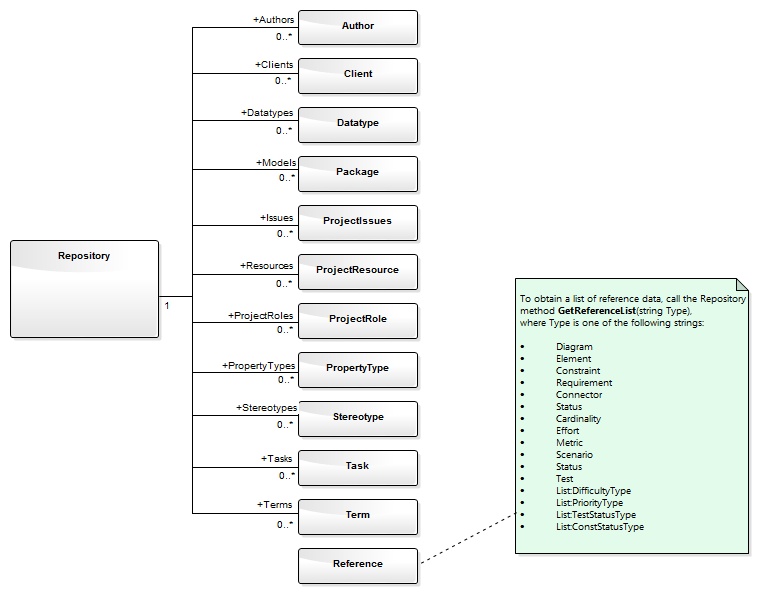 The Repository Package contains the high level system objects and the entry point into the model itself, using the Models collection and the other system level collections. This diagram shows the collections of the Repository interface. Association Target roles correspond to member variable names in the Repository interface. The associated Classes represent the object type used in each collection.